Recognized internationally as a traditional graffiti artist, Tilt began his practice as a youngster on the streets and train cars of Toulouse, France. 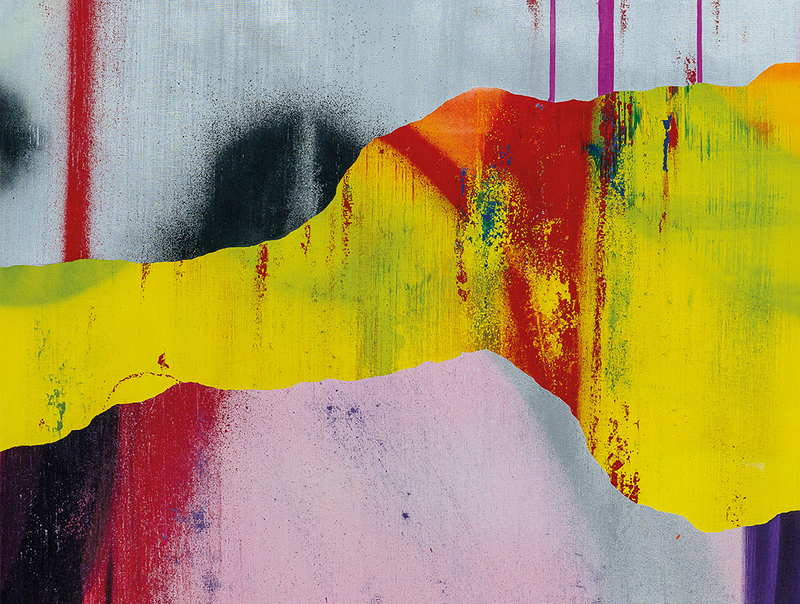 Developing his love for graffiti in the 1980s as a rebellious youth, Tilt perfected his artistic practice to reflect his growing love of this mode of expression. A self-declared “graffiti fetishist,” Tilt has travelled the globe to spread his artistic vision. His pieces, on walls and in exhibits, can be seen in the U.S., Hong Kong, Japan, Mexico, Thailand, Australia, New Zealand, Laos, Taiwan, China, Canada, Philippines, Indonnesia, Maldivians and throughout Europe. Tilt recalls both primitive lettering and more complicated 3D, wildstyle, characters with an emphasis on strong colors and high impact shapes. The majority of his paintings focus on the stylization of his name, rendered in “throw-up” bubble letters. Designed for fast execution, “throw-ups” allow graffiti artists to quickly and efficiently lay down their art on the urban landscape. 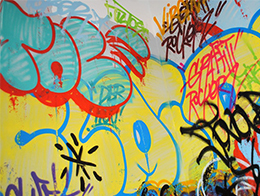 Most interested in conveying the action of graffiti throw-ups and tagging, Tilt’s style retains this classic hip-hop graffiti ideology. Tilt lives and works in Toulouse.